With a new Football Coach, A new football stadium, and a new Athletic Director, FAU football is in a time of change and the FAU football brand is quite different than when football was first introduced to FAU. 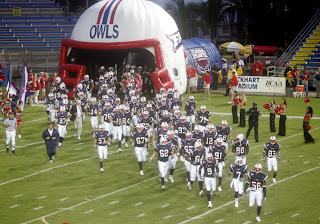 But how can our FAU football 2012 program tell the students, the parents, alumni, the community, and even the Nation they are no longer a 1-11 team that plays 30 minutes away from its home campus? This is a question that we hope will be addressed in the search for the new Athletic Director, but without a doubt, the marketing and advertising plan of our FAU Sports needs to be re-strategized and work more aggressively to give people even a thought about the FAU team when they drive through South Florida. FAU Football 2012 has a chance to recreate what it means to be an Owl fan, while still giving all respect and honor to our legend Howard Schnellenberger. While Schnellenberger laid the foundation for FAU football, Pelini will have the opportunity to build a franchise that can compete nationally, with our great location that attracts recruits from all over the country, our exquisite new stadium, our unique and ‘new’ sense of school pride that grows year after year. Creating a perception that FAU Football 2012 is ahead of other schools in all aspects of the game such as talent, motivation, pride, style, ‘swag’, speed, and size will draw the attention that we have been seeking and craving for years now. 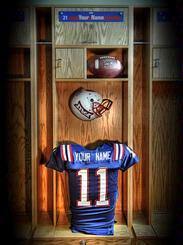 In order to create this image of FAU Football 2012, many strategies can be taken into consideration. However, starting with the basics is high on the priority list considering the ‘FAU Owl Athletics’ facebook page has less than 800 likes when the student population is over 28,000 students at Florida Atlantic University. With that said, FAU Athletics should first start off with a full time Sports Marketing Director, who will then create a staff comprised of 8-10 interns that are currently enrolled at FAU and are looking to get involved in a sports marketing career. This team would be responsible for updating and marketing the social media outlets such as Facebook, Twitter, Google+, and any others that can reach out to potential fans. Also, creating and posting signage around campus and the community about upcoming events is a great and easy way to get the word out about games, but more importantly creates a presence of the team within the community and informs the average person that a team exist in the area. Again, these are simple strategies, but are easy and have yet to be fully accomplished therefore, they will be a quick jump start for our marketing campaign. Although I am definitely not the only one with ideas for our Athletic Department, the more ideas the better, so by allowing more students to be a part of the team offers great experience and helps the overall brand awareness of FAU Football 2012! Until a new AD is hired, we will have to settle to dreaming and hopefully sooner than later we can begin a marketing plan, create a notable perception of FAU Sports.